A Found Poem created entirely from first lines from Walt Whitman's Leaves of Grass. among the men and women, the multitude. sometimes with one I love, I fill myself with rage. Long I thought that knowledge alone would suffice me. unfolded out of the folds of the woman, man comes unfolded. He is wisest who has the most caution. So far, and so far, and on toward the end. Do you think Whitman planned it that way? Love how this all came together and the eagle is gorgeous. No, there are over a hundred first lines. I just mined for the ones I liked or fit the flow. Interesting exercise, though. 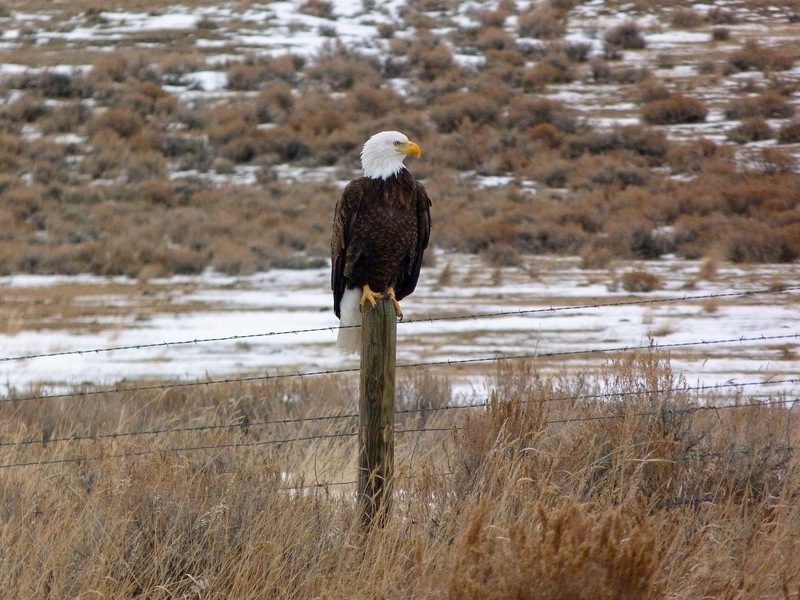 Eagle - Just something you see by the side of the road here. Cool poem and exercise. I bet it was a lot of work. Love the eagle too. I counted 7 the other day traveling from Boise to Portland. I love seeing eagles by the side of the road. Makes them easier to photograph!